PLEASE WELCOME STEPHANIE CHONG with DEXTER! 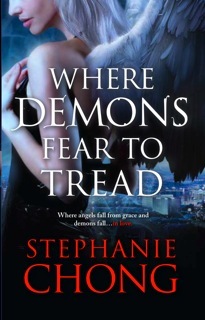 My second novel, The Demoness of Waking Dreams, will be out in 2012. It’s the continuation of my “Company of Angels” series, and there’s a third book planned, too. A lot – I can’t even guess! It varies from year to year. I was reading an enormous number of books when I was doing a Ph.D. in Comparative Literature and a Master’s in Creative Writing (simultaneously, separate programs at separate schools), until I finished both those degrees in 2009. Dexter goes to the dog beaches and dog parks for sessions with a dog training/exercise company during the day. At home, he has a favorite place in the living room front window where he likes to sit for people- and dog-watching. Playing with his dog friends. WHERE DEMONS FEAR TO TREAD! Very interesting story. I can feel the anticipation of the romance between Julian and Serena already! All the best with the book! While I do admit a yen for the book it is Dexter who has my heart today, what a cutie Stephanie. 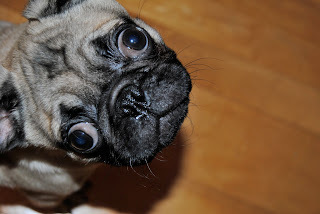 Love pugs, they are so sweet and cuddly and very all around lovable little dogs!